Candy Cookies Crush love by kids & girls – Enter into the Saga of match three cookies after bubbles, fruits, jewels & Diamonds. Engage yourself or your baby kids in to highly addictive learning game that keep eyes and reflex brain with delicious and exciting flares of cookies. 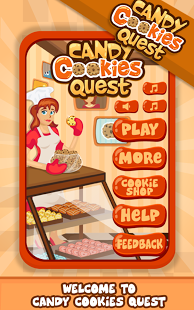 Find the hidden quest of cookies with three different game plays. 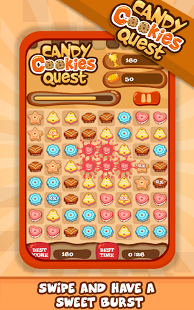 ☆ Match cookies, Catch special candy powers and win the levels in popping and crushing of cookies mania! Jump into this amazing action-puzzle match 3 addictive game and discover three new worlds! DO YOU WANT YOUR BABY TO HAVE WHAT IT TAKES TO BE A Candy MASTER? 120 seconds to swipe and match as many fruits as you can! To increase the time, you need to catch time cookies. Just keep playing, trying to beat your own score and increase your time play to compete with your friends. Stay tuned for classic, exciting and challenging features. 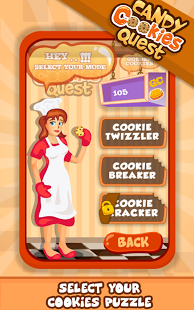 Crunchy yummy Candy Cookie quest is a part of our match three games with our other very successful and TOP CHART games e.g. Pizza & Sandwich Stand, Jewels Hunt, Chef Cook Mania, Candy pop, Stand O Burger, Sally’s Hair salon, Sally Health salon etc. With over million downloads and growing, OziAppStudio is pioneered to be known as the creator of time management, match 3, dress up, salon, spa, maker, cooking, serving and decorating games that preschool & kinder garden babies, kids, girls and parents love. oziappstudio@gmail.com because we see parents and kids as best reviewers so feel free to rate or provide your valuable feedback. This free app contains ads.